We won't let a little Rain stop us from having fun tonight! We had a contingency plan in place in case it wasn't going to let up and since that is looking like the case everything has been moved inside the WEST LOBBY and we are READY for you and your family to come and enjoy the night with your Church Family while staying DRY! Food, Fun, Crafts, SCG Kids Christmas Cash, very special LIVE MUSIC and more will still be happening tonight! We Can't Wait to see you! 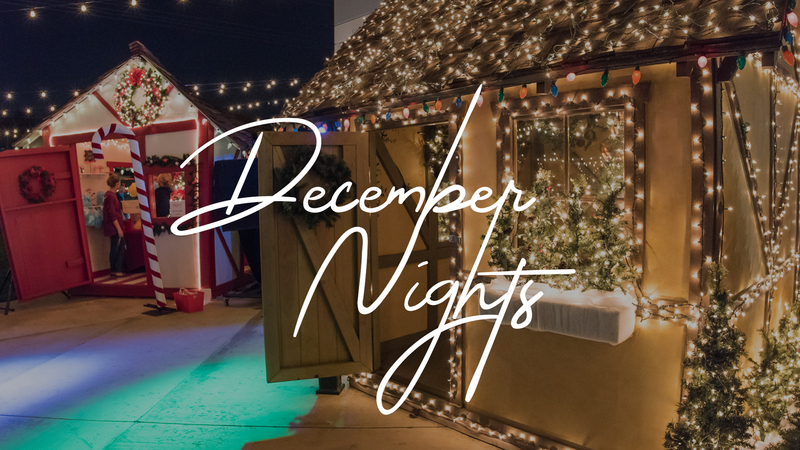 December Nights is a place where friends, families and the community are invited to experience our Christmas Village. Every year our goal is to provide a fun, safe, and festive environment where families can come and make new holiday traditions and memories together. We have a wide variety of activities including train rides, pictures with Santa, a petting zoo, two-story sledding hill and much more! The activities are always free and food will also be available for a small fee. We hope to see you there! December 13 - Santa is stopping by to take pictures with all the kids! December 20 - Bundle up and hold on tight, it's going to snow at SCG Tonight! We will have our Two Story Sledding Hill and the In-N-Out truck will be here!